This week we interview Dr. Gary Sidley. Dr. Sidley worked within NHS mental health services for 33 years in a variety of nursing, psychological and managerial roles. In the 1980s he was employed as a psychiatric nurse at a large asylum in Manchester, commencing his clinical psychology training in 1987. Subsequently, he worked as a clinical psychologist in community mental health services, inpatient units and GP practices, as well as with Senior Management positions. 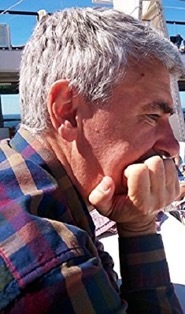 Gary is now a freelance writer and trainer with an interest in promoting alternatives to bio-medical psychiatry as ways of responding to human suffering. In 2015, Gary published the Book Takes from the Madhouse, in which he clearly lays out the scientific evidence against current psychiatric practices, going on to illustrate key points with beautifully written, poignant, at times deeply shocking stories from his years of experience. His stories leave us in no doubt that medically lead practices impact negatively on those in the care of mental health services.